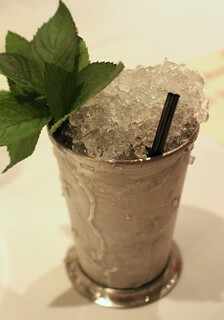 I recently returned to one of my favorite Italian restaurants in LA, The Factory Kitchen in downtown, to try out the new cocktail menu from bartender Andrew Gustafson (you can read me gushing upon my first visit to the restaurant here). 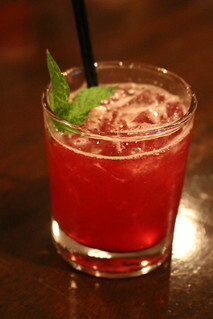 The Factory Kitchen tries to change their cocktail menu seasonally. I was running late so my friend was already having this season's best seller, the Mezcali with Xicaru mezcal, lemon, serrano, muddled tomatoes, and strawberry. It's easy to see why this drink sells so well, since not only has LA been a big spicy cocktail kick lately, this was a well balanced drink that's also not too sweet, with a more complex aspect thanks to the tomatoes. 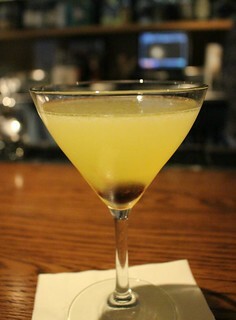 As the name hints, this drink is their version of the Last Word. 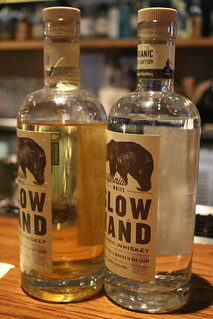 Slow Hand white whiskey is an unaged whiskey from Greenbar Distillery in downtown LA. Andrew infuses it with chamomile tea; as you can see below, the bottle on the left with the yellow-ish liquor is the one infused with chamomile. I tried it by itself also and it had a really nice aroma - I'm partial to tea cocktails so I really liked this one. 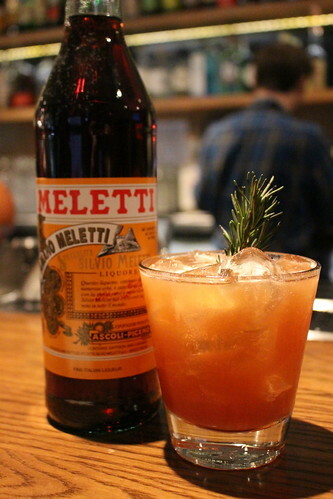 A riff on a mule, but this drink has everything I love: amaro, ginger beer, and rosemary. I can drink this all day. With so many authentic, hole-in-the-wall taco spots in Los Angeles, it may be easy to dismiss a "hipster" taco place like Tinga, but this spot on La Brea is popular for a reason. Even though the price is higher, Tinga provides a great option for tacos that Mid-City lacked before. The taco fillings may not always be "authentic" but owner Jerry Baker stays true to tradition where it matters, which you can see in the freshly made tortillas and great salsas. The listed price on the menu is for two tacos, although you can order single tacos for $5.25 each. It's a bit pricey compared to taco trucks, for sure, but they're pretty generous with the meat and you are in Mid-City after all. I was quite surprised by how much I actually liked the tacos here! Jerry Baker has been perfecting the recipe for The Genesis since high school, back when he used to make it for his friends. It's easy to see as it was definitely my favorite taco there. 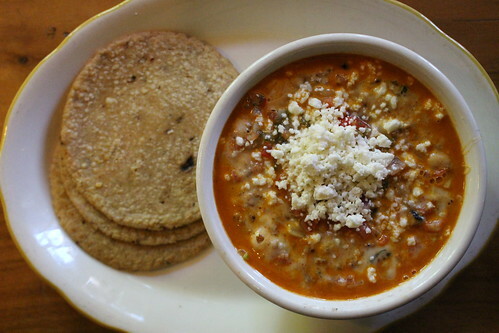 Even though it looks the simplest, it had the best flavors from the pork rub, which complemented but not overwhelmed by the simple additions of cheese and salsa. This post may be a bit late, but for those of you who still don't know ... some may remember Mariscos Chente and their awesome pescado zarandeado and other Sinaloan seafood dishes, and the chef from Chente and his family has now opened Coni'Seafood in Inglewood, serving the same great items. 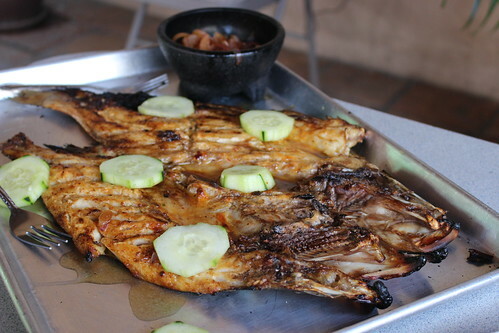 The thing to absolutely get is of course, the pescado zarandeado. This whole grilled snook is the state dish of Nayarit and Sinaloa, and here is served with caramelized onions and tortillas. 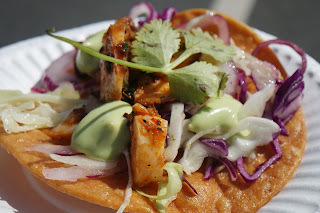 Make yourself a great taco with this great fish meat and the onions. 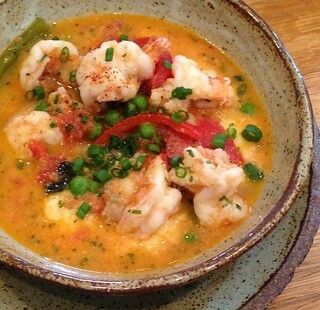 It's quite big so bring a few friends so you can try the other dishes, as well. 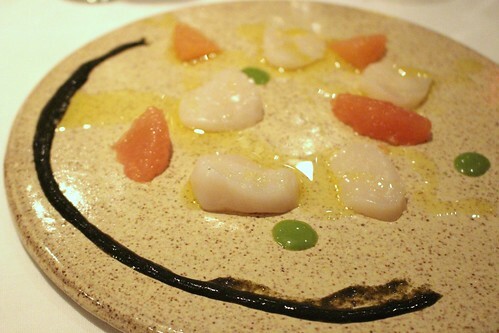 Chicago has many great restaurants worth revisiting, and since I'm heading back to the Windy City soon, I'm looking back at the meals I had last year. 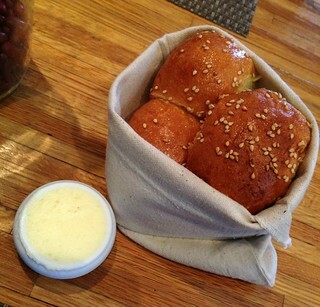 I've been to Avec for a solo dinner before, but since I couldn't try much, I returned for brunch. There are bacon-wrapped dates and there are Avec's bacon wrapped dates that are on another level. 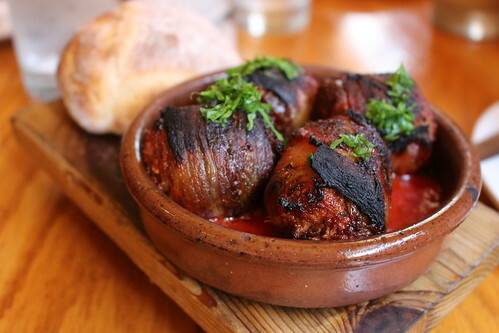 Don't those plump dates, stuffed to the brim with chorizo, look so delicious? The tomato sauce has a nice kick to it also. 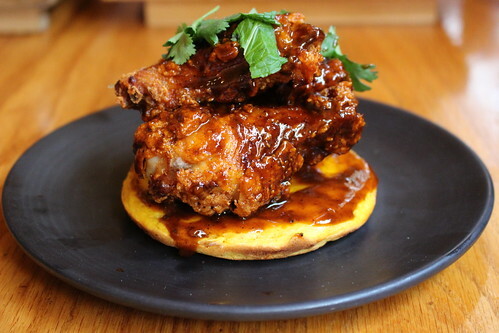 Really crispy chicken wings, this dish was another hit for me. 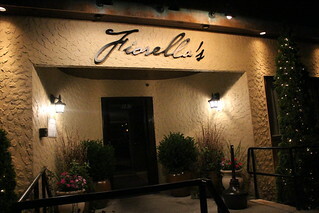 Fiorella's in Newton has been around for 15 years; the owner was only 23 when they opened. 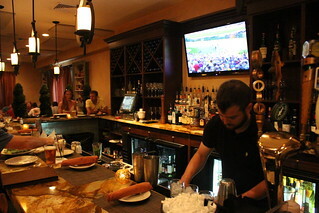 The restaurant used to be half the size and had since expanded to include the bar area. 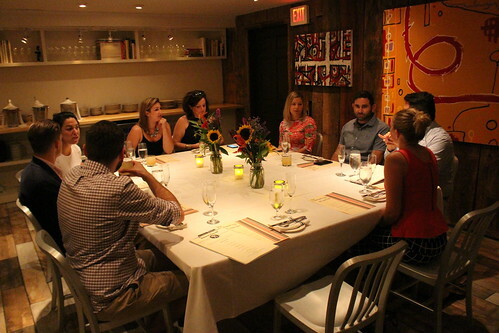 This restaurant has a lot of local following - it's off the beaten path and can be a little hard to find at first, but people keep returning and I went to find out why along with a group of other Boston bloggers. Before sitting down for dinner, we mingled over a glass of Blueberry Smash, made with bourbon and blueberry simple syrup. 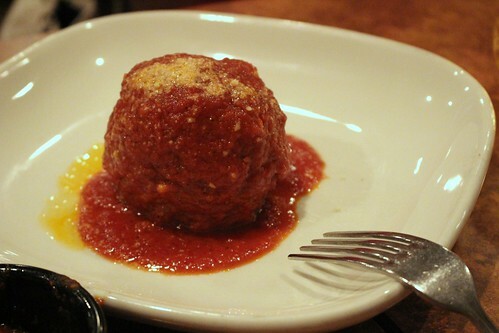 A nice dish that also showcases their marinara sauce. It's quite a comforting dish with the melted cheese and the hearty sauce. 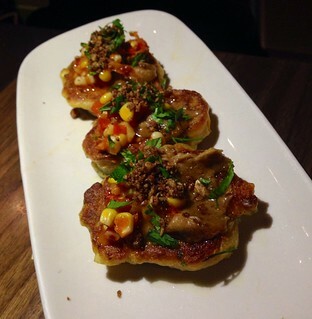 I visited Charleston for a very short trip last Christmas holiday, and even though the friends we were visiting were vegetarians, I had dining at Husk Restaurant on my must-do list. 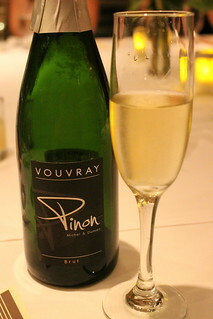 After all, it was named Bon Appetit's Best New Restaurant in America in 2011. Our friends dropped my cousin and I for lunch one Saturday afternoon while they walk around the city. 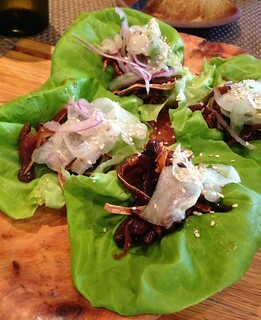 I understand pig's ears can be an acquired taste, but I personally love the texture and they did a good job with the glaze on this lettuce wrap. Boston isn't all about seafood and Italian food, there are a few special places that add a big diversity to the available food in town. Sarma is one of those few special places and I have to say it's only a type of restaurant I won't be able to find in LA, making Sarma one of my favorite spots in Boston so far. 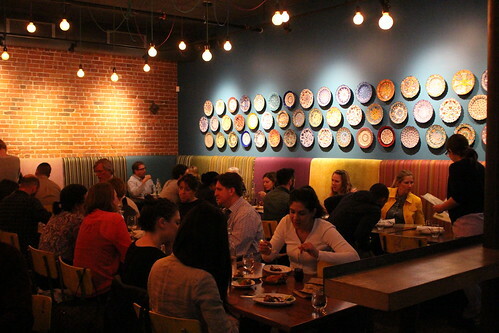 Located in Somerville, Sarma is the sister restaurant of Oleana in Cambridge, both specializing in Mediterranean and Middle Eastern food, but Sarma focuses on meze /small plates and is more casual. 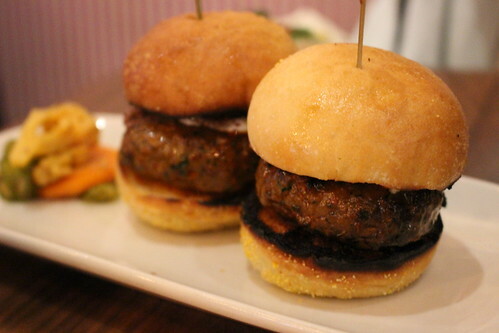 Lamb kofte sliders, tomato, brown butter, pickles ($10) - one of the must gets! It may look simple in the photo, but these are seriously some of the best sliders ever. The patty - made with lamb kofte - was really good and the buns had the perfect texture. A bacon fest on a boat? Yep, Big Bite Bacon Fest is coming to The Queen Mary in Long Beach. Baconvaganza will take over the historic ship on August 1-2. Among the vendors slated for the event are Bigmista's Barbecue, Slater's 50/50, The Currywurst Truck, Dog Haus, Polka, and Dia de Los Puercos. 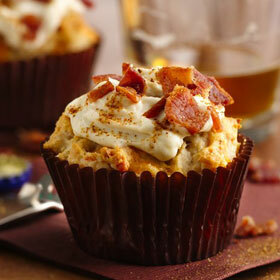 After all the bacon, get desserts from Lil' Miss Shortcake, Bundts on Melrose, Waffle-Oh Truck, The Cake Mamas and more. The general admission tickets are $40 and includes all the food, but not the beers. You can buy a GA ticket plus beer sampling ($50 including general admission plus 10 samples) or purchase additional beer sampling tickets there for $15 (10 samples). Breweries pouring will include Ninkasi Brewing, Golden Road Brewing, Pizza Port, Allagash, Einstok and more. Oh, and Bakon Vodka will naturally be there. They've also offered up a couple of tickets for me to giveaway for FREE! These tickets are for general admission for either day ($80 value). To enter, follow the instructions below and don't forget to comment with the day you can attend, since you can only choose one of the days. My relationship with food festivals is an interesting one; mainly because I hate to love them. In the moment, the experience is tiring, a bit stressful, and take the deepest toll on your body and stomach, all while offering you a feeling of fulfillment, excitement, and heavenly delight; that is if you do it correctly. I attend food festivals with one goal in mind: eat as much as humanly possible within the time allotted. 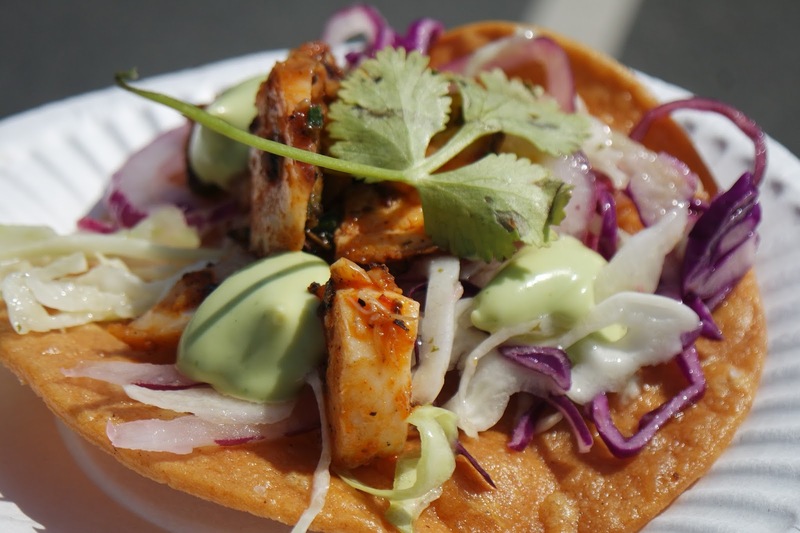 Tacolandia was not exempt from this food festival showdown: Cue v. Food. I arrive just prior to 3:00p.m., and my date and I breezed through the queue with unprecedented ease for an event with no VIP hour. Upon entry I immediately started eating. There was a corn-off-the-cob cup with tortilla chips that reminded me of the elote you would get from a street vendor in the neighborhood. I love Los Angeles, but mostly they don't keep a lot of their heritage and cool historic buildings around too much. 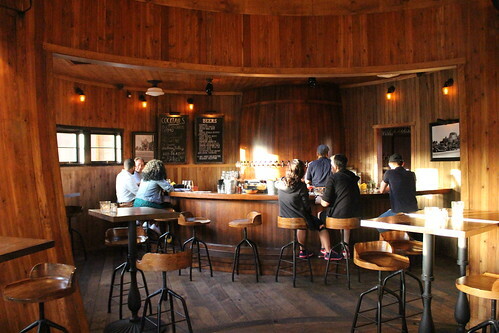 Thanks to 1933 Group, LA will at least keep one of their awesome barrel-shaped bars, as they have renovated Idle Hour in North Hollywood. The building was declared a Los Angeles Historic-Cultural Monument and 1933 Group purchased it in an auction. 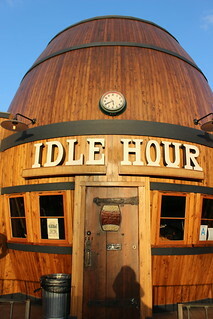 The old Idle Hour was a taproom built in 1941, and 1933 Group has kept that concept, with plenty of beers on tap inside the barrel-shaped main building. 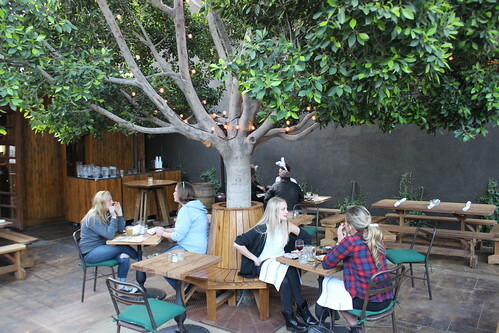 They also have a great outdoor dining area in the back that's perfect for day drinking in the summer. Behind that area is a replica of the Bulldog Cafe. 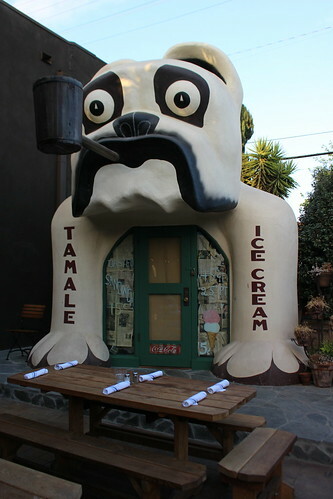 The original Bulldog Cafe was built in 1925, selling tamales and ice cream (I wish we have something like that now), and they built a replica for the Petersen Automotive Museum in 1991. 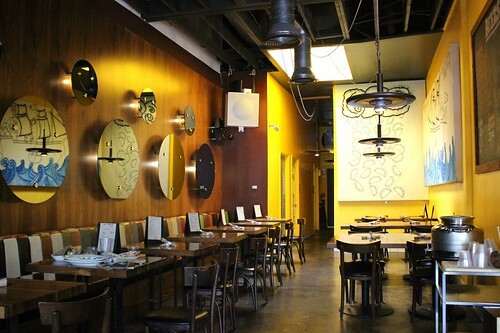 The adorable Bulldog Cafe is also open for private events, and it's also open to the public when there's no event going on. 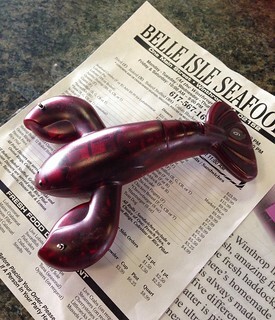 Belle Isle Seafood in Winthrop has been featured on Anthony Bourdain's No Reservations, and it's not that far from the Boston Logan Airport. I decided to check it out after picking up my cousin from the airport. The restaurant was bigger than I expected, with a view of the boats and water. We placed our order and waited for the food. That lobster buzzer they gave us is so cuute! 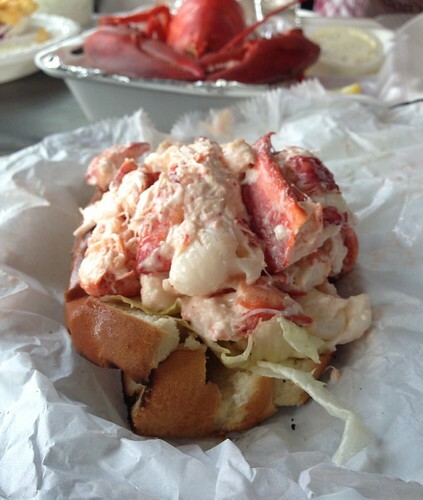 Of course, we ordered the lobster roll. They serve it Maine style with mayo and lettuce here. It's pretty cool when the worlds of science and food collide. At least one Harvard professor is doing so with WikiPearl. 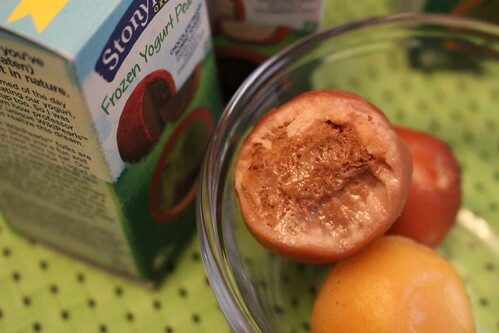 The idea comes from natural fruit skin, where the flesh is protected from the environment by an edible skin. They've partnered with Stonyfield for this edible packaging idea in their frozen yogurt pearls, creating frozen yogurt you can eat with your hands. For me, the idea has not completely replaced regular retail packaging, since you still have to package the wiki pearls, but one day we can hopefully minimize it since you don't have to package each pearls separately. The WikiPearl skin doesn't melt so putting two together won't make them stick to each other or cross contaminate the others. You can see below the frozen yogurt inside a pearl. 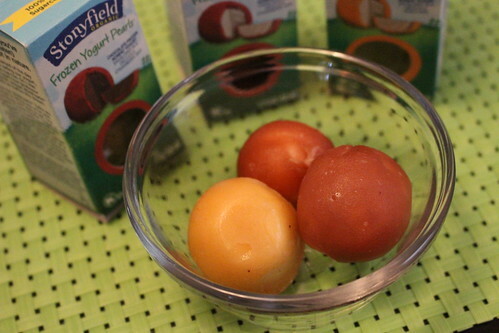 With Stonyfield's products, the skin is also flavored, creating different combinations between the yogurt and the skin. Plus, ice cream or froyo as finger food is fun! I think they'll be great at parties. Or even when I'm craving ice cream at home, since these pearls as bite-sized. Portion control. Works way better than plopping down with a pint of ice cream and a spoon. Right now, Stonyfield's WikiPearls can be found at Whole Foods Markets across New England. You can give them a try for your next house party. No need to wash ice cream cups and spoons!